“Then the Lord said to Moses, ‘Behold, I will rain bread from heaven for you; and the people shall go out and gather a day’s portion every day, that I may test them, whether or not they will walk in My instruction’” ~ Exodus 16:4. Today, as I seek the Lord to make Himself known and to minister to the need He sees in me, He begins by speaking to me concerning the habit of fretting tomorrows issues and needs. Fretting wastes time, energy, and supply meant for use in this day’s need, giving it to things that have not and may never come to our lives. Praying about where to begin on our journey to holy habitation with God, He reminds me of the next portion of the Lord’s Model Prayer, and through that, He leads me to the verse above. 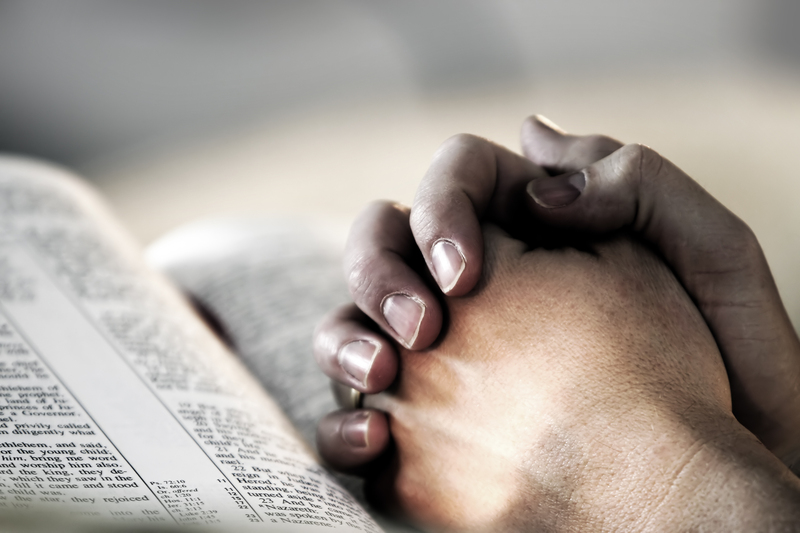 In the Lord’s Model Prayer, we looked at the need to begin every prayer with realization of God: who He is, how He works, His might and power and supply available to us, surrendering to His sovereignty. Next Jesus instructs we pray, “Give us this day our daily bread” (Matthew 6:9-13). God-Jehovah, in ministering to His people, Israel, promises them His supply to meet their daily need of bread. The daily manna is a symbol of God’s supply for what He sees as our daily need. Whether it is food, finances, strength, grace, wisdom, instruction, or whatever the need, God is the source of our supply, and He sends it to each day as needed. The example found in Exodus tells us that God often only sends what we need for each day with His instruction for its proper use, and He does so for the purpose of revealing whether or not we will follow His instruction. Fretting and worrying misappropriate God’s supply given for our today. Fretting and worrying tends to miss the opportunity before us in this moment. Fretting and worrying shows lack of faith to trust God’s daily, moment of need, supply. Fretting and worrying denies God’s sovereignty in life and puts us in danger of running rogue. Fretting and worrying too easily leads to our taking things in our own hands, denying the sovereignty of God, and His supply for life’s challenges and opportunities. God is telling me today to realize His presence with me, leading, guiding, supplying my need moment by moment, and empowering me for this day. He is reminding me to trust Him for each day yet to be and to partner with Him in the now as His child, ready to walk with Him in accomplishing His purpose in this day. He reminds me that He knows me and my need better than I know myself. He is my first most vital need and necessity in this life. He is my portion. I cannot make it through a day without Him. In holy habitation with Him, He gives me my true need. “The Lord is my Shepherd, I shall not want. He makes me lie down in green pastures; He leads me beside quiet waters. He restores my soul; He guides me in the paths of righteousness for His name’s sake. …” ~ Psalm 23, NASB. Surrender to trust in the Lord to do the good He has for us produces a faith toward Him that equips us to find His rest in the midst of difficult experiences. Jesus exemplified this when He slept in the bow of a boat while His disciples panicked (Matthew 8:18-27). Jesus fully trusted His destiny to God, knowing God would fulfill His good word to Him; so much so that He was able to rest in the midst of life’s literal storm. Following the Lord requires faith to trust Him to get us to the place He has for us in life’s situations. Scripture tells us that, “A man’s mind plans his way as he journeys through life, But the Lord directs his steps and establishes them” (Proverbs 16:9, AMP). When we are truly following the Lord, He establishes our steps, making them effective. 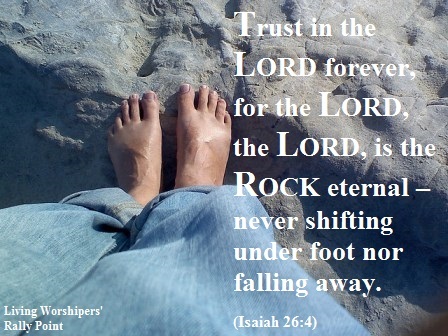 There is always eternal purpose for the paths upon which God puts our feet. Trusting and following Him step by blessed step, with faith that knows His sovereignty that works good things out of all we face, will lead to the glory of His name and fulfillment of His purpose and plan. Trust in Jehovah-Raah, Beloved. He will bring you through this life with a testimony of your experience of His peaceful pastures. He, whose thoughts are higher than our own and whose ways are beyond our comprehension, faithfully astounds us as we see His glory come out of experiences that are unfathomable to our finite minds. When life gets hard and my body wants to hide under a rock, denying all that is coming at me, The Lord comes to me as a Shepherd, reminding me of His sure presence and instructing my heart anew that I can follow Him, step by step and breath by breath, through each day. Jehovah-Raah, The Lord my Shepherd, calls me to follow Him so I do not fall away in the storm and lose my way in life, trying to do for myself what only He can do. The Amplified version of Psalm 23 further increases hope for the help of my God in difficult days. When the waters get rough, the first thing I too easily strive for is to try to fix things. I run around like the proverbial headless chicken, wearing myself to a frazzle, trying to do what is only God’s to handle. Too often I do this without first seeking Him and His ways. † This is a place where I can find food and God’s resource meant to nourish, grow, and change me to be all He intended when He planned me. † This is a place of opportunity where, with reliance upon God, He can use me in right ways that accomplish His purpose. I don’t have to be the “fixer”. I can trust God to take care of all I entrust to Him. God often takes us through seasons that are too hard for us to face without Him. He uses these things to make us “lie down”, a position of complete surrender to His will, trusting Him, placing all reliance upon Him. When we lie down in His pastures, we find ourselves in a place that requires our full trust in His protection, provision, and direction. In the pastures of our Good Shepherd, Jehovah-Raah, we learn to know God. God is in the business of creating for Himself a people after His own heart, readied for His Kingdom. Life’s storms are part of that work of God, revealing areas of needed change, growing our faith, changing our hearts and our nature to the image of God. Here God, feeds, guides, and shields us so that we have no lack of any true need in life. 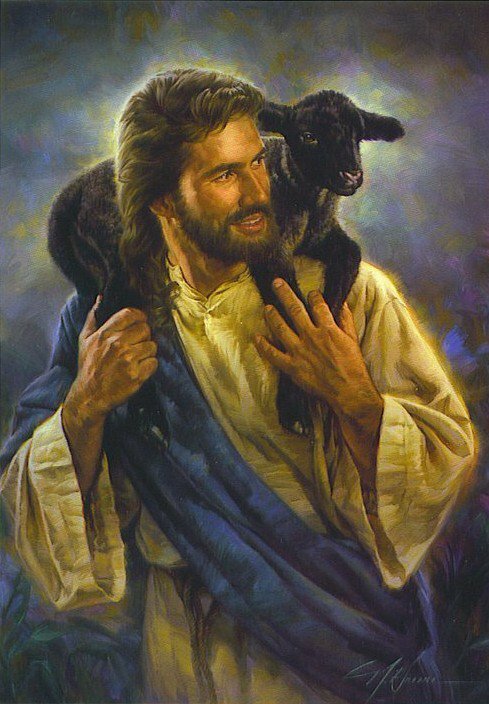 He is our only true need, and He gives Himself to us as we walk in the pastures in which He places us, trusting Him to be the Good Shepherd over all we find there. The things He allows us to experience on the paths of His pastures causes us to lie down in surrendered trust of Him, believing with faith in His supply for our ability to discover and accomplish His purpose for life. “Pray, then, in this way: ‘Our Father who is in heaven, Hallowed be Your name. Your kingdom come. Your will be done, On earth as it is in heaven’” ~ Matthew 6:9-10. There are seasons and situations in this life that are just hard, and that can be stating it lightly. Can I get an “amen”! In such times, it can be difficult to know even how to pray. That is when God most often leads me to the Model Prayer outlined for us by Jesus. Today, as He leads me anew to this format, I note that the first three parts of our outline all point us to realize who God is: His attributes, nature, reality, faithfulness, and sovereignty. Just as the names of God point us to all we can know true of Him, Jesus reminds us to remember these things ~ first and foremost ~ before ever considering our daily need. The scriptures are one source of God’s discipline, being “inspired by God and profitable for teaching, for reproof, for correction, for training in righteousness; so that the man of God may be adequate, equipped for every good work” (2 Timothy 3:16-17). Discerning the truth of His word is vital to our ability to walk through life and weather its storms. “All discipline for the moment seems not to be joyful, but sorrowful; yet to those who have been trained by it, afterwards it yields the peaceful fruit of righteousness” (Hebrews 12:11). God is Father, doing what is best for His children, so that we are not condemned with the world (1 Corinthians 11:32). 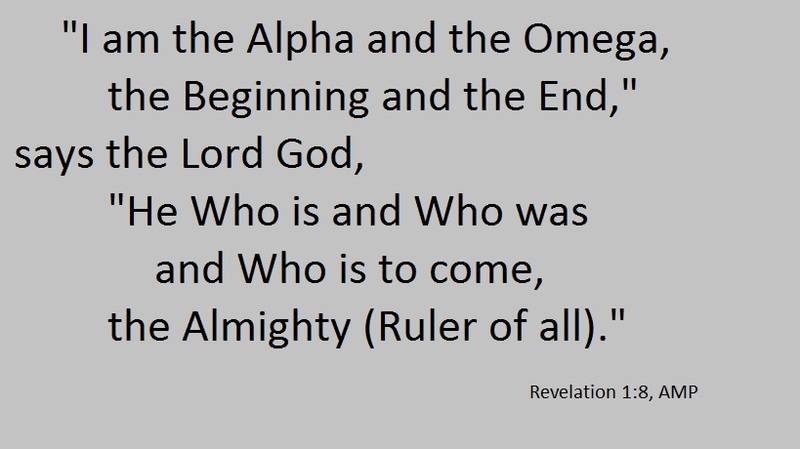 God is in heaven above ~ This truth reminds us that as we enter into the intimacy of relationship with God as Father, we must always remember that He is Sovereign, Lord of all. Nothing in life happens without His notice, and all that happens He works to fulfill His purpose (Romans 8:28-39). When things get rough, it is not the time to fall short in our faith that God is Sovereign above all, working in and through our lives to bring us to His holiness. That is when we most need to look to Him for discernment of the work His hand is producing in our lives. God is working an eternal purpose. He has more than the fleeting time we have in this life at heart. We may not fully understand His purpose for allowing the fires of testing or our times in the lion’s den, but He has eternal purpose with eternal perspective that is working for our good, not our harm. Failing to believe and trust Him when things get hard is to fail to know God. “Not that I have already obtained it [this goal of being Christlike] or have already been made perfect, but I actively press on so that I may take hold of that [perfection] for which Christ Jesus took hold of me and made me His own” ~ Philippians 3:12, AMP. EBENEZER – The Lord has Helped us. Literally “Stone of Help”. JEHOVAH-MISHAN – The Lord your stay. Literally “I AM your Stay”. “They confronted and came upon me in the day of my calamity, but the Lord was my stay and support” ~ Psalm 18:18, AMP. † To endure or persist (Romans 5; 2 Peter 1:1-12; Mark 5:36; John 12:35, 15:14). † To stand one’s ground; remain firm (Romans 14:4; 1 Corinthians 16:13; 2 Corinthians 1:21, 2:9; Ephesians 6:10-18; 2 Timothy 1:12, 2:19). † A strip of bone, plastic, or metal, used to stiffen a garment or part, such as a corset or shirt collar (John 15:5; Ephesians 6:10-11; Colossians 3:1-17). “So if you are suffering in a manner that pleases God, keep on doing what is right, and trust your lives to the God who created you, for He will never fail you” ~ 1 Peter 4:19, NLT. “The Light shines in the darkness, and the darkness did not comprehend it” ~ John 1:5. In this passage, Apostle John gives Jesus the descriptive name of “The Light”. One responsibility Jesus had in His time on earth as a man was to correct misconceptions people had regarding God and the truth of His will and way. Reading this passage in The Message Bible the other day, Eugene H. Peterson’s interpretation grabbed me with renewed fervor and comprehension. “What came into existence was Life, and the Life was Light to live by. The Life-Light blazed out of the darkness; the darkness couldn’t put it out. …The Life-Light was the real thing: Every person entering Life he brings into Light. ‘…my task has been to get Israel ready to recognize Him (The Life-Light) as the God-Revealer’” (says John the Baptist) ~ John 1:4-5, 9, 31, MSG. Here, John the Apostle describes Jesus as the Life-Light, the one who makes true life in God known. He quotes John the Baptist as proclaiming Jesus as the God-Revealer. This is the work of The Light. Jesus made God known and brought His reality into view for all to see. We, the called of God, are to be The Light, shining out to dispel the darkness of this world by being His representatives, equipped as God-Revealers in the likeness and fervor of Christ. Later in the reading of this John Passage in The Message bible, John the Baptist pointed out Jesus to some of his followers. Two of them followed Jesus. Getting His attention, Jesus invited them to see where he was living. “They came, saw where he was living, and ended up staying with him for the day” ~ John 1:39, MSG. As people seeking to live in Holy Habitation with God, it is vital that we develop a relationship with Jesus, The Light, who reveals the truth of God to us in our daily situations. Only then can we be Light that rightly represents Him. When we stay with Him throughout our day, in close union with Him, He shines through to reveal Himself in us. Jesus calls us to be His Light in the world. Light must have a power source. Plug into Him every day and stay plugged in so His Light may continue to shine. Do not hide the Light or fear its brightness dispelling the dark and exposing things hidden in blackened corners. Shine bright in this day and glorify the Father in the name of the Son. “Then Moses said to God, ‘Behold, I am going to the sons of Israel, and I will say to them, “The God of your fathers has sent me to you.” Now they may say to me, “What is His name?” What shall I say to them?’ God said to Moses, ‘I AM WHO I AM’; and He said, ‘Thus you shall say to the sons of Israel, “I AM has sent me to you.”’” ~ Exodus 3:13-14, NASB. God reveals many names He goes by throughout scripture. We will look at many of these in the days to come, seeking the holy habitation with Him that reveals knowledge of Him, equipping us to represent that aspect of His nature in the world around us. Yesterday we introduced the need we have to realize Jesus, living in and through us, and our need to be one with Him in unity as His representatives in prayer, voice, and action, just as He is the Father’s representation to us. Today we consider this name of God, Jehovah / Yaweh, found in our Exodus focal passage, as we look this month at several of the names of God, their expression of His nature to us, and our responsibility to represent this aspect of His reality in the world through holy habitation with Him. Exodus 33 tells us that we realize God’s glory as He proclaims the name of “The Lord” before us. The Name God uses in Exodus 33:19 is Yaweh, or Jehovah. Often translated “The Lord”, this word truly expresses the reality of God’s existence. God is not a created being: He is, always has been, and always will be. He is the Creator of all things; The Omniscience, all knowing, having no need to be taught. He is Omnipotent: all powerful, finding nothing impossible or beyond His reach. He is Omnipresent: all present, being everywhere at all times. GOD IS. The greatest realization about God we must possess as we seek to come into Holy Habitation with Him is that HE IS and He is the One who is with us always. Whether we enter king’s palaces or prison’s gates, we will find Him there. Whatever life brings to us in this world, the place to begin as we seek the glory of God ~ the realization of His presence with us, is to bow down to His Lordship with assurance of understanding that He is God I AM, and He is with us wherever we are, the great reward for seeking Him with whole heart and trusting faith. There is none before Him, and none will come after Him. He is. Many of God’s names we will cover begin with Jehovah: I AM. Those names remind us that He is a reality, He is all and in all, the answer and solution to everything. Coming more fully into holy habitation with Jehovah means realizing beyond a shadow of doubt that His is, and He is the very great reward for all who seek Him from the heart. “‘Then with a deep longing you will seek Me and require Me as a vital necessity and you will find Me when you search for Me with all your heart. I will be found by you,’ says the Lord, ‘and I will restore your fortunes and I will free you and gather you from all the nations and from all the places where I have driven you,’ says the Lord, ‘and I will bring you back to the place from where I sent you into exile’” ~ Jeremiah 29:13-14 (see also 1 Chronicles 28:9). “Then Moses said, ‘I pray You, show me Your glory!’ And He said, ‘I Myself will make all My goodness pass before you, and will proclaim the name of the Lord before you…’” ~ Exodus 33:18-20, NASB. Happy New Year, beloved. I pray your Christmas was indeed blessed and that you are ready to press forward with God for another year of partnership with Him in the work of Life. As we begin our journey anew to develop a life in Holy Habitation with God, let us begin today with the glory of God seen in His proclaiming His name before us. Beloved, to understand the importance of this aspect of God’s glory revealed to us, we must understand how vital the name of God is to us and how His name over, in, and through us empowers our lives. Before peeking at the proclamation of God’s names as seen in scripture, let us understand the purpose and power found there. To begin, realize, beloved, that Jesus never taught us to pray to Him, but to the Father in Jesus’ name. “Our Father who art in heaven…” is the model Jesus gave us to follow in praying to God. And He instructs in John that we are to ask in His name: “Truly, truly, I say to you, if you ask the Father for anything in My name, He will give it to you. Until now you have asked for nothing in My name; ask and you will receive, so that your joy may be made full” (John 16:23-24; See also Matthew 6:9; John 14:10-14, 26; 15:16). Here is the thing about our prayer life and holy habitation with God in Christ Jesus, beloved: all that we do, all that we pray, all that we say, and every thought we think is to be in Jesus name, as rightly and truly represents Him and His interests. There is power in the name of Jesus as we realize our call to be His ambassador’s, representing His interests and kingdom purpose in our lives, thoughts, prayers, and ministries. God grants power to those sent forth in the name of the King to do kingdom business. This is what we are, ambassadors with the authority of the King behind us. Jesus is our example who tells us that He came and lived in the name of the Father, representing Him in the world: “Do you not believe that I am in the Father, and the Father is in Me? The words that I say to you I do not speak on My own initiative, but the Father abiding in Me does His works” (John 14:10). “I will not leave you as orphans; I will come to you. After a little while the world will no longer see Me, but you will see Me; because I live, you will live also. In that day you will know that I am in My Father, and you in Me, and I in you. He who has My commandments and keeps them is the one who loves Me; and he who loves Me will be loved by My Father, and I will love him and will disclose Myself to him. … If anyone loves Me, he will keep My word; and My Father will love him, and We will come to him and make Our abode with him. He who does not love Me does not keep My words; and the word which you hear is not Mine, but the Father’s who sent Me” ~ (John 16:18-21, 23-24). Jesus came to teach us of the Father. He did so by being a representation of God’s nature, purpose, work, and interests, in the power of oneness with the Father. He, as our example, calls us to do the same in representing Him and His interests, thus proclaiming His name in the world. Living, breathing, speaking, and moving in the name of Jesus is the power of God toward us, doing His work in the earth through us. “…Then the Lord said, ‘Behold, there is a place by Me, and you shall stand there on the rock; and it will come about, while My glory is passing by, that I will put you in the cleft of the rock and cover you with My hand until I have passed by. Then I will take My hand away and you shall see My back, but My face shall not be seen’” ~ Exodus 33:18-23, NASB. Have you ever been through a season of trouble where, though your mind may run crazy with all that the storm is tossing around before you, your heart remains stable, held by the peace of God? I am in such a season even now, and as in many times before, my heart is at rest. Though my eyes see the trouble and begin to ask those “why” questions of turmoil and confusion, God steadies my heart to know that He is in control. In that, He begins the work of setting me securely in the cleft of The Rock: the Holy Habitation of God’s protective cover. Like Moses, I cry out, “Lord, I need to see You. Show me Your glory in this situation, that You are indeed with us and working on our behalf to bring good out of this trouble.” God graciously begins by placing me in the cleft of The Rock. Think of this scene portrayed in our Exodus passage today, beloved. Realize that sitting in the cleft of a rock blocks our view. Add to that, God, covering our ability to see still further by putting His hand over us, protectively, and the ability to see what is going on becomes impossible. Until God removes His hand and we see the backside of Glory, faith to trust Him is required. Realize also that being in the cleft of a rock blocks an enemy’s ability to get at us. Add to that ~ God. Blocking the one way in with His mighty hand, we come to know the protection of God for us. No enemy can prevail when God places us in The Cleft and covers us with His hand. In our family’s current trouble, we wait to see the Lord. Though we do what we are equipped to do to help as God leads, we trust God to fulfill His will in all the details – especially in that which is beyond our ability. We watch with earnest expectation for those tossed about in the storm to land securely in the hand of God. The purpose of every trouble life brings to our table is God – working to make Himself known as He brings us to Himself. In the process, He fulfills His purpose of making us lights that draw others to increased faith. “…He will bring forth your righteousness as the light and your judgment as the noonday. Rest in the Lord …Wait for the Lord and keep His way, and He will exalt you to inherit the land…” (vs. 3-8, 34a). Where does God have you in a cleft, beloved? 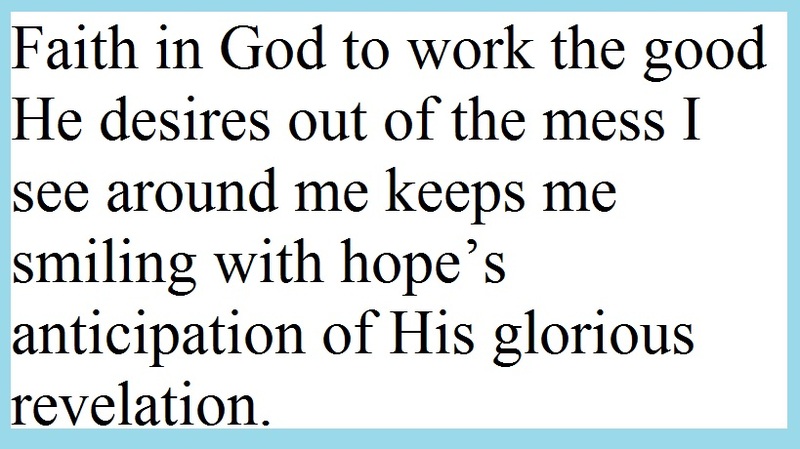 Are you cooperating with hope of the Backside of Glory; or are you fighting against the work of God in the situation? Choose the cleft, beloved, and get ready for His glory. “…But He said, ‘You cannot see My face, for no man can see Me and live!’ …” ~ Exodus 33:18-23, NASB. Moses came as close as any mere human can come to seeing the face of God, yet his view was dim. God did not let him see His full essence with clarity for the protection of his human life. In scripture, we see that the glory of the angel is enough to make a man faint. How much greater glory the full essence of God: it is beyond our ability to look upon it without our falling over dead from the effects the greatness of His essence has on weak human flesh. Now think about that, beloved. We love life and don’t want to die. God loves us and has a purpose for us to fulfill in this life. He knows that the weakness of our flesh cannot see Him in all His glory and live. Therefore, He holds His glory back to protect our life and keep us safe until the fulfillment of His purpose for our living is completed. On the flip side, the vision of the glory of God kills our flesh. Physically, we want to live and fulfill God’s purpose, but we can only do that from a thriving Spirit-life. Spiritually, we want our flesh-man dead, so our Spirit-man may thrive. Recognizing the glory of God, longing for more and more realization of His glory with us and in us, is the weapon of God against our flesh rising up from the ashes to disturb our journey as partners in the glory of God. “Where there is no vision [no revelation of God and His word], the people are unrestrained; But happy and blessed is he who keeps the law [of God]” ~ Proverbs 29:18, AMP. Revelation of God, understanding of who He is, His essence, reality, will, way, and glory, is the key to restraining fleshly impulse. Though we cannot see His fullness without the destruction of our physical being, we must grow to realize the glory God does reveal to us. Only then can we overcome our fleshly desires in order to walk in the ways of God, in the power He supplies through His Spirit at work in us who are an expression of His essence to the world. “Then Moses said, ‘I pray You, show me Your glory!’ And He said, ‘I Myself will make all My goodness pass before you, and will proclaim the name of the Lord before you; and I will be gracious to whom I will be gracious, and will show compassion on whom I will show compassion.’ …’” ~ Exodus 33:18-20, NASB. God’s goodness toward us, His giving to us a personal and intimate knowledge of Him, and His grace that meets our need: all are aspects of God’s glory-revelation. Last on this list of visual representations of God’s glory is His compassion toward us. Compassion ~ Deep awareness of the suffering of another accompanied by the wish to relieve it. God does not like to see our suffering, and so, He is compassionate toward us. Trouble is part of living in this world that is most often in stark contrast to God and His ways. As long as we live this earthly existence, trouble will touch our lives; and more so as the day of Christ draws near. Evil increasing and people’s hearts growing cold toward any aspect of God’s reality is what ushers in the coming Christ. As people wax cold toward God, closing their hearts to Him, Christ will come to remove those who are His from this mess, and apocalypse will have its way. Until then, trouble will increase, touching us more frequently and with greater devastation as this world decays and the day of Christ’s return for us draws near. That said, how is God’s compassion revealed? “It is of the Lord’s mercies (lovingkindnesses) that we are not consumed, because his compassions fail not. They are new every morning: great is thy faithfulness” ~ Lamentations 3:22-23, KJV (NASB). The Lord’s compassions toward us keep us from being consumed by the trouble found in this world. Instead, He uses such to strengthen our faith to trust Him more; leading us to greater depths of repentance and surrender to more of Him, strengthening our resolve as He grows our likeness to Him. God’s compassion produces heart-peace in us when life’s storms hit, that peace that passes understanding, amazing the heart of the recipient. Father’s compassions equip us with wisdom to weather every wave and stand firm in the harshest winds. We are in this life with a purpose set by God: to partner with Him in making His glory known. Therefore, God does not always remove trouble from us, but His compassion helps us to stand so that we fulfill His purpose in allowing the trouble to touch us. Light shines brightest when contrasting the dark. No matter how bad the waves of trouble may rise above us, we can trust God’s faithful compassions to protect us from the destruction difficulties seek to bring to us. This world of trouble will not consume us as long as we rest securely in His grace that works His good for us out of every wave on the tossing sea of this life. Whatever storm you are in, beloved, watch for God’s provision: not putting Him in a box of what you think He is doing and should do, but trusting His will, His way. His lovingkindness is with you to provide for your every need out of His compassionate mercies that fail not. He amazes the heart and mind of those who sincerely wait upon and watch for Him in earnest expectation and hope of the glory He will reveal. “Then Moses said, ‘I pray You, show me Your glory!’ And He said, ‘I Myself will make all My goodness pass before you, and will proclaim the name of the Lord before you; and I will be gracious to whom I will be gracious…’” ~ Exodus 33:18-20, NASB. God’s glory is revealed first through every goodness He gives. Next, He says we can know His glory as God personally proclaims the name of the Lord before us. We touched on the friendship with God that increases as intimacy grows through learning His names, which express His character. Later in this series we will cover this aspect of God’s glory in greater detail, revealing the appreciation and the power such intimacy brings to our relationship with Him, as well as the faith, strength, hope, supply, and partnership produced. Today we look at God’s next instruction to Moses, revealing the glory of God we see in life. Grace is often defined as God’s Riches At Christ’s Expense. Grace couples with God’s mercy to supply all our need as His chosen people, even, and especially, when we don’t deserve it. Any supply we have for any need met is God revealing Himself to us. 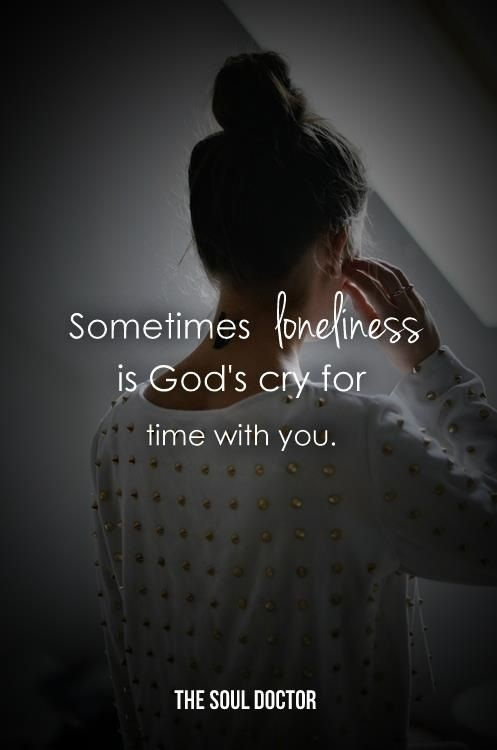 Even the smallest incidental that makes us smile or wipes a tear of fret and fear away is God reaching out to touch our lives with His presence. The trick is to realize God’s grace at work in our midst. Too often credit for God’s supply in life goes to that which seems more obvious, that which touches our physical senses. We credit our jobs or our own perceived strength, failing to remember that God’s grace gives both. The laughter of a small child brightens our heart without our realizing God’s hand of grace in bringing that joy. On we could go, listing ways God blesses by grace and we fail to realize Blessing’s source. Every good comes from God because of His grace toward us. His loving hand reaching to our current deprivation ministers every essential. What joy there is in recognizing God’s grace at work in our lives, not only meeting our every true need, but also equipping us as ministers in partnership with Him in the grace He gives. “And God is able to make all grace abound to you, so that always having all sufficiency in everything, you may have an abundance for every good deed; as it is written, ‘He scattered abroad, He gave to the poor, His righteousness endures forever.’ Now He who supplies seed to the sower and bread for food will supply and multiply your seed for sowing and increase the harvest of your righteousness; you will be enriched in everything for all liberality, which through us is producing thanksgiving to God” ~ 2 Corinthians 9:8-11. God graciously meets our need, equipping us for the good He desires we accomplish. God gives to us so that we have supply for giving. We cannot out give God. Every good use we make of His supply is seed sown that will produce a harvest to His glory. As wise stewards of the manifold gifts of God’s grace to us, we partner with God in making His glory known, producing thanksgiving to God. The better we get at realizing God’s grace-supply and using it as seed, the more we find His storehouses open to our need. Through God’s grace, we are made to be His ministers according to His gift of grace working through us in the power of His supply, thus participating with Him, becoming one as His light in the revelation of Glory (Ephesians 3:1-7; 3:20-21). “The Lord said to Moses, ‘I will also do this thing of which you have spoken; for you have found favor in My sight and I have known you by name’” ~ Exodus 33:17, NASB. Walking in God’s favor empowers our lives and makes us fruitful as His people. It is a sign of intimacy with God, being a people after God’s own heart. Along with that is the increased intimacy of friendship with God as ones knowing each other well, privileged to call each other by name. I know many people when I see them, but those I know best, I know by name; and those I am most intimate with, I know by their chosen or preferred name. This passage leads me to the understanding that it is the same with God. Some have a shallow acquaintance with Him, while others draw near on a first name basis. People who possess a depth of knowledge as His chosen people that goes beyond mere acquaintance come into a friendship with God that is real and alive. When God speaks to my heart, 99 times out of a hundred He begins by getting my attention as He calls out, “Darlene”. That sign of intimacy goes the other direction as the child of God learns the names of God, calling on Him with intimate knowledge of who He is (something we will look at closely in days to come). Abram (exalted father ~ Genesis 11:27, NASB footnote) becomes Abraham (father of many ~ Genesis 17:5, NASB footnote). Abram’s name change takes him from being the start of a nation to the promise of being the father of more than can be numbered. Jacob (heel catcher, trickster, supplanter) becomes Israel (he fights or persists with God in prevailing prayer). Jacob no longer relied on himself and trickery to get what was his. 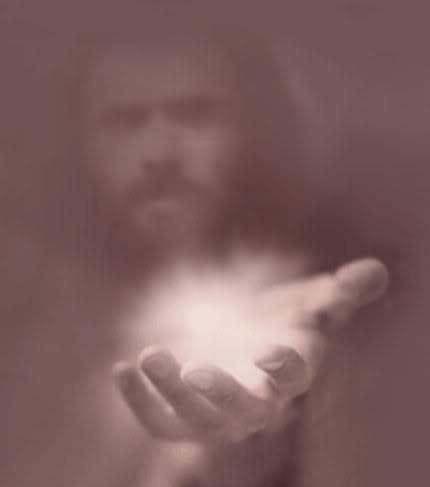 He learned to rely on God and receive from His hand. Simon (he has heard) becomes Peter (rock – one who stands on what he knows and speaks what he believes). And in my time, Darlene (Beloved) becomes Abigail (Rejoicing – One whose heart rejoices in God. One in whom the heart of God rejoices.) God gave me this name long ago during a time of drawing near to Him and it became my mantra, my life goal, to live so-as-to bring Him rejoicing as I rejoice in Him. For someone who has suffered much rejection and the fear of rejection, this name inspires hope and helps me to know that God does not reject me, but has chosen me, and He finds joy in my presence with Him. 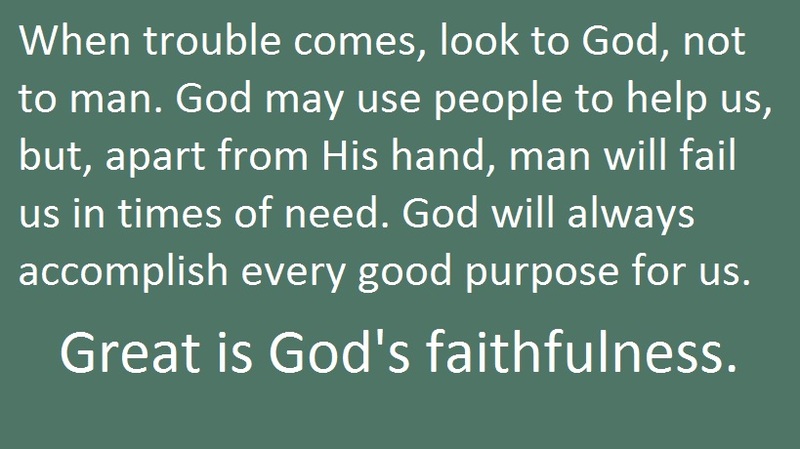 Knowing God inspires faithfulness that wins favor. Him knowing us produces an intimacy that is deep and abiding, as face to face as we can possess in this life, based on a love that never fails. Throughout our journey to date, it is clear that holy habitation with God flows from a relationship with Him that is real, personal, and intimate. Here we see two ingredients to intimacy ~ finding favor with God (today’s focus), and knowing a relationship with Him that is on a first name basis (tomorrow’s focus). Type the word “favor” into BibleGateway word search, and 358 scriptures pop up for consideration. From the favor given Noah in Genesis 6:8 to that given those who hate evil deeds just as God does found in Revelation 2:6, we find the things that lead us to the position of a people having God’s favor. Glancing through these, I see that intimate relationship with God that produces His heart in us, leads us to the place of the favored people of God. One of the greatest things said of Noah forms my heart cry as I seek to be a woman, walking in God’s favor: “Noah was a righteous man, blameless in his time; Noah walked with God” (Genesis 6:9). The world found itself condemned by God because the people turned their back on Him to go their own way. Noah, alone, walked with God and, finding the favor of God, became God’s chosen instrument for renewal, leading to his salvation along with that of his family. Walking with God when everyone else goes the other way, having a heart after His heart, wins God’s favor. Walking in God’s favor brings strength to overcome hardship and power for life abundantly full, thus touching the lives of others, helping them to know strength and power. Though the road may be difficult, as was Noah’s, walk with God day by day, breath by breath, beloved, and His favor will meet you. “… You have said, ‘I have known you by name, and you have also found favor in My sight.’ Now therefore, I pray You, if I have found favor in Your sight, let me know Your ways that I may know You, so that I may find favor in Your sight. Consider too, that this nation is Your people” ~ Exodus 33:12-14, AMP. Looking at the passage covered in yesterday’s devotional thought, I notice that those who abide in God, remaining with Him in Holy Habitation, can still have their lives touched by the consequences of the sins of others. God told Moses that He knows him by name and that He finds favor in him, yet still, Moses, along with Joshua and others who did not follow the sin of the people, were to go into Canaan without God’s presence with them, just as those who sinned. I know you have seen this truth for yourself, as I have. We can suffer hardship because of the sins of those near us. This fact is part of our participation in the suffering of Christ that God’s word warns us we will bear in this life (Romans 8:17; 2 Corinthians 1:5; Philippians 1:29-30; Colossians 1:24; see also 2 Peter 2:4-10). Jesus’ entire journey to the cross was because of sin not His own. Those in Holy Habitation with God receive the consequences of a righteous life that is blessed by God, and that blessing can reach beyond us as grace toward those struggling in sin. When God threatened to destroy the nation of Israel for their sin and begin anew with Moses, Moses jumped into the breech, begging for God’s mercy to save the people (Exodus 32:7-14). Now, as God threatens to remove His presence from their journey, Moses again steps into the breech to pray for mercy. God’s response to Moses translated into His doing good toward those who fell in sin, though they deserved the consequences of His holy discipline. Holy habitation with God owns one’s own sin and seeks quickly the restoration of relationship with God. Holy habitation with God also realizes the effect our ability to commune with Him can have for the benefit of those we love. Realize, beloved, the heart of God toward you that longs to meet your every need, for yourself and for those you love and desire to see in Holy Habitation with Him. “And He said, ‘My presence shall go with you, and I will give you rest.’” ~ vs. 14. “When the people heard this sad word, they went into mourning, and none of them put on his ornaments. For the Lord had said to Moses, ‘Say to the sons of Israel, “You are an obstinate people; should I go up in your midst for one moment, I would destroy you. 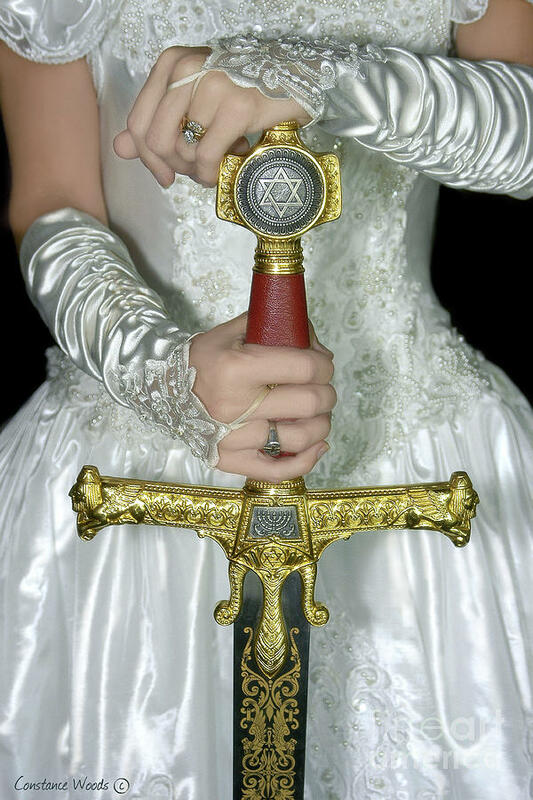 Now therefore, put off your ornaments from you, that I may know what I shall do with you.”’ So the sons of Israel stripped themselves of their ornaments, from Mount Horeb onward” ~ Exodus 33:4-6. Longing for the Lord this morning as I lift each difficult thing to Him who is the answer for each one, I long for His glory. In that longing, I turn to Exodus 33 anew and begin reading from verse one. There I see the removing of the ornaments that signify the repentance of the people who became discontented with God and His way, leading to their using their ornaments to create a god of their choosing. Discontent produces every kind of covetousness in us, leading us to diverse fruits of sin’s seed. Discontent that leads us away from longing after God produces in us every kind of unrest. Longing for God and His presence, seeing Him as the answer in all things, leads us to cry out as Moses did, “See, You say to me, ‘Bring up this people!’ But You Yourself have not let me know whom You will send with me. Moreover, You have said, ‘I have known you by name, and you have also found favor in My sight.’ Now therefore, I pray You, if I have found favor in Your sight, let me know Your ways that I may know You, so that I may find favor in Your sight. Consider too, that this nation is Your people” ~ Exodus 33:12-14, AMP. Recognizing one’s first and foremost need to be a real and true relationship with Father-God, totally dependent upon Him, is the only way to remove the ornaments of sin. The Presence of God with all His manifest glory is rest that delivers from discontent, fear, uncertainty, hopelessness, helplessness, and a slew of other tiring maladies ~ THE PRESENCE. When unrest, fear, anxiety, and uncertainty come, beloved, who or what do you seek? “Seek the Lord and His strength; Seek His face continually, longing to be in His presence” ~ 1 Chronicles 16:11, AMP. “…Moses returned to the camp, but his minister Joshua son of Nun, a young man, did not depart from the [temporary prayer] tent.” ~ Exodus 33:11, AMP. Not so for Joshua, the son of Nun. Exodus 33:11 tells us that Joshua, wanting that relationship for himself, stayed in the tent of meeting with God, seeking Him on his own. Joshua’s desire for relationship made him unafraid to draw near and hear. When I look at Joshua’s relation to Moses, I see him as one who took on himself the charge of ministry to Moses. Moses was his hero of faith. Following close to him, Joshua wanted to be a man of faith and obedience like Moses. Thus, when Moses left the presence, Joshua stayed behind to seek this God for himself. Through Joshua, we have a picture of the heart God desires for us. God does not mean for us to live vicariously through others, feeding off their faith and their progress or victories. God desires we feed on Him to grow in personal relationship with Him and to become His instrument for a life of victory. Because of Joshua’s heart toward God, God gave him his heart’s desire. Therefore, we have the book of Joshua that tells the glory God worked through him as he continued to seek personal relationship with God. Receiving His instruction and living in Holy Habitation with Him, Joshua found his desire fully met. Today, God wants us to have this same faith, not only hearing His call to those like Joshua, but receiving our own through personal relationship with God. “…the Lord used to speak to Moses face to face, just as a man speaks to his friend…” ~ Exodus 33:7-11. At first, Moses was afraid when God spoke through that bush, so God drew him in closer: “take off your sandals.” Reverent obedience seen in removing the shoes draws us intimately close to God as Lord, where the touch of His holiness enlivens our spiritual senses. That instruction for entering the holy presence of God gave Moses the comfort of feeling welcome and wanted, adjusting his fear to that of reverence. His drawing in close to visit in earnest with God about His plans for Moses and Moses qualms that hindered started him on a road to a relationship with God that grew strong. Day by day from there, drawing him ever closer, God formed a bond with Moses that led to a trusted friendship. Relationship with God is vital to our seeking after Him in ways that bring His reality to life for us. The people of Israel had an ungodly fear of God that led them to push Him away when He sought to draw them in, so their relationship with God was standoffish (Exodus 20:18-21). That fear brought harm to their ability to come into personal relationship with Father. Fear, disbelief, busyness, anger, lack of trust: there are so many bad emotional states that rob us of relationship with God. We must shake that off and come into His holy presence. Moses pushed past his issues to enter into relationship with God. Exodus 33:11 tells us that Joshua, wanting that relationship for himself, stayed in the tent of meeting with God, seeking Him on his own – he was unafraid to draw near and hear, and as such, was chosen successor to Moses. We, too, must lay every encumbrance aside and draw near. “… Draw near to God and He will draw near to you. …” ~ James 4:7-10. “Where there is no vision, the people perish…” ~ Proverbs 29:18. 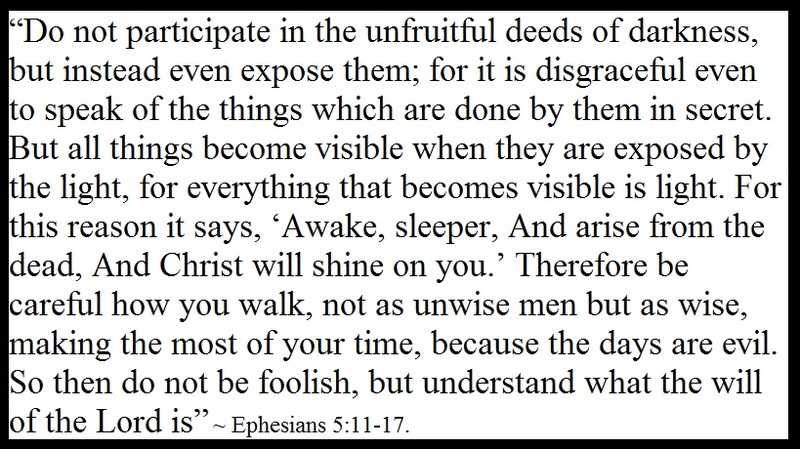 The Amplified version of this passage explains “vision” as “the redemptive revelation of God”. Without ability to recognize God and His work in our midst, we fall away. That is what happened to Israel during Moses’ 40 days on the mountain. I am greatly inspired by such patriarchs of faith as Moses, the friend of God. Exodus 33 contains my favorite visual example of his relationship with God. However, that chapter comes on the heels of the fall of Israel. What happened to cause these people to deny the true God and make for themselves a graven image even after personally experiencing the miracles of God? Setting Moses in God’s place, they failed to discover personal relationship with the Real. Up until the moment of their fall, the people looked to Moses as the expression of God they could comprehend and follow. In his absence, unsure if he still lived, they lost their moral compass because of their distorted vision, so they made a god that made sense to their senses. Like Israel, we struggle to follow God because we cannot touch Him with our physical senses. The solution? We must seek first the Lord to enliven our spiritual senses. Like Elisha, we must pray for God to open our eyes to see His realm (2 Kings 6:17). Father, my heart is helped when I personally see Your movement and discern Your voice. I often smell the essence of rose when You draw near, and my skin tingles with Your touch. Knowledge of Your presence touching my spiritual senses in ways that influence my physical comprehension helps my faith and keeps my feet on the firm foundation of Your reality. In Jesus, I pray vision for Your people, O God, so each may know Your reality and follow You. 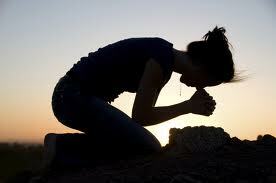 “Seek the Lord and His strength; Seek His face continually [longing to be in His presence]” ~ 1 Chronicles 16:11, AMP. Welling up in my heart is desire for the presence of God. Today begins that journey and this scripture describes the first step: Seek His face, longing for His presence. Our journey begins bowed down at God’s Holy Feet, crying out with longing for Him that demands fulfillment: a respectful requirement based on the authority of God that promises response. What authority? God promises, “You will seek Me, inquire for, and require Me as a vital necessity and find Me when you search for Me with all your heart. I will be found by you, says the Lord, and I will release you from captivity…” ~ Jeremiah 29:13-14, AMP. I want that, don’t you? The commandments of God give us His authority to do as He requires. His promises grant us right to expect His response on the authority of His word. David, in his seeking after God, writes, “You have said, Seek My face – inquire for and require My presence as your vital need. My heart says to You, Your face / presence, Lord, will I seek, inquire for, and require of necessity and on the authority of Your Word” (Psalm 27:8, AMP). Seeking after God that demands fulfillment by His authority brings to mind an infant in need. A hungry infant screams, kicks, and squirms until they have their need. According to God’s word, He will respond to such wholehearted seeking. “The Lord is good to those who wait hopefully and expectantly for Him, to those who seek Him, inquire of and for Him and require Him by right of necessity and on the authority of God’s word” ~ Lamentations 3:25, AMP. “You in Your lovingkindness and goodness have led the people whom You have redeemed; in Your strength You have guided them with care to Your holy habitation” ~ Exodus 15:13, AMP. I have, for years, had in my heart to do a series of devotional thoughts that lead the reader to their seat at the feet of Jesus, our Lord, and of the Father God. It amazes me the number of Christians who do not realize personally the nearness of God. I am not talking about a “feel good shiver”. I am talking about assurance of heart that has no doubt of His nearness. People who fail to know God’s nearness too easily fail to recognize His voice: His way of communicating to them in personal and applicable, heart knowledge. That inability to recognize God speaking His instruction for life in our personal situations leads to our stumbling about in darkness, struggling to find our way to the other side of chaos. I cannot fathom life without this knowledge of God, so real, near, and dear to me; and yet many go through life never achieving this deep and fulfilling relationship with the Father of all eternity. How very difficult our life is when recognition of His sure presence with us eludes us. Recently Father reminded me of this call and desire to write devotionals intended to help the seeker of God to find this place of His sure presence, impressing upon me that now is my time for this project to flow forth from His heart, through mine, to you. As I began the journey, God led me back to this recently read Exodus 15 verse in which two key words grabbed me, drawing me to seek even greater, more consistent realization of God, His presence with me, and His desire for me. The desire for God’s presence with us is a desire that will constantly see fulfillment and will not come to full satiety until we enter the eternal with Him. This desire for God is there to keep us seeking, wanting more of Him until we see Him face to face. Holy Habitation: Those words altered the title of this devotional focus and intensified its purpose. In this devotional series, we will see how God’s glory is recognized in His lovingkindness and goodness expressed toward us. Out of that lovingkindness and goodness, Exodus 15:13 tells us that God supplies the power for us to come into this ‘holy habitation’ relationship with Him. Every detail of our lives is His instrument, carefully used to lead us to this place of understanding His reality with us, and His desire for our lives. Habitation ~ the state or process of living in a particular place: in this instance, being continually in this state of holiness. The act of inhabiting or the state of being inhabited. Note the unity of this a Holy Habitation: “me” in God and Him in “me”. Habitation is the work, process, experience and reality of possessing the Promised Land of God’s holy presence with us, now and forever made one together with Him. Look up the word “Kingdom” on this site, and you will find many devotionals and articles on my journey to realizing that we are here and now a part of the Kingdom of God, with all of its resource and responsibility ours to possess and walk out each day. We are people of destiny, having eternal purpose in every experience of every breath. No trouble in this life is without this eternal purpose, providing us opportunity to fulfill our destiny. Number one in that purpose is to KNOW God as surely as you know the person most important to your reality. 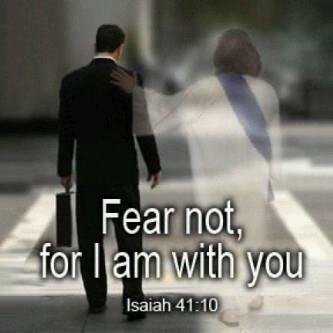 He is with us and for us. He longs to know us and for us to know Him. He reaches out to us, desiring we possess such great oneness with Him that we become the extension of His reality in the world. When we enter the eternal Kingdom at the exhale of the final breath of this life, He wants us to recognize Him when we take our first breath on the other side of glory. He wants us to be one who has long known His voice and become accustomed to His features. The Eternal should not be strange, foreign, or different to us when we enter that Kingdom ~ though we will see completely who and what He is and have our desire for Him fully satiated only then, there should be familiarity that causes us to recognize Him as our most intimate, well known Lover, Companion, Life Partner. Our entry into that eternal Kingdom should be the greatest homecoming ever experienced, fully entering into the familiar place of His eternal presence, having lived it every day in the Holy Habitation of God’s sure presence here and now. Are you ready? Watch for each excerpt of Holy Habitation: Living Continually Seated at God’s Feet. PS: This introductory post will most likely be the longest post of the series of devotional length excerpts. Enjoy and be BLESSed, refreshed in His reality with you.